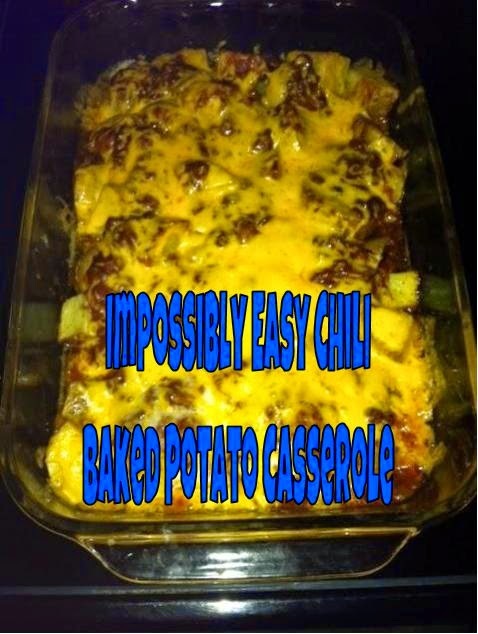 The one about impossibly easy chili baked potato casserole! As I've told you before, casserole season is in full swing at my ol' homestead. Today I'm going to tell you how to make a super simple and fabulous weeknight dinner with just 15 minutes of prep time. 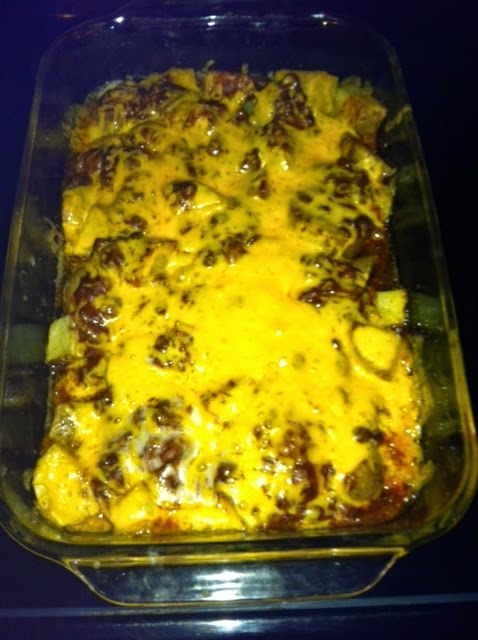 It combines two of my favorite things, potatoes (I'm Irish, y'all) and chili. Cube potatoes. Leave peel on. Place in 9x13 glass baking dish. Combine melted butter and seasonings. Pour on potatoes and toss to combine. Butter will re-harden and that's okay. Just try and get it to coat as evenly as you can. Bake your potatoes for 40 minutes or until soft. Remove from oven, pour can of chili evenly on top. Bake for an additional 15 minutes or until the chili is hot and the cheese is bubbly. Put sour cream on top. PUT IT IN YOUR MOUTH. So good. This is definitely a keeper that will go into our regular rotation for wintertime. It's cheap and super easy and hubby practically ate himself sick, so I know he liked it. :) Enjoy!